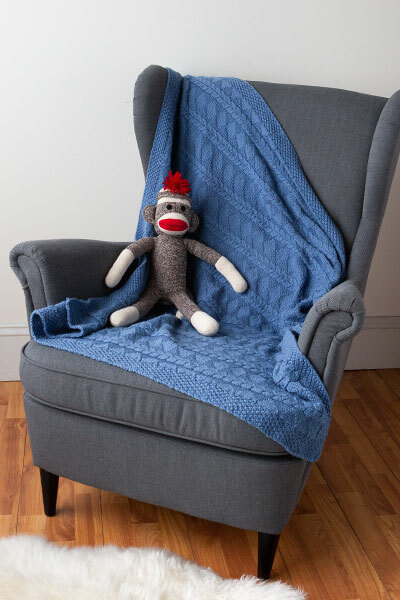 The Nine Points of Roguery is an Irish reel that evokes memories of cozy times at the local pub with tunes a-playin’. In the code of Chivalry of days gone by, the nine points of knightly virtue were loyalty, honor, bravery, generosity, pride, good faith, glory, unselfishness and courtesy. While the source of the title of this tune is a wee bit of a mystery (not uncommon for traditional tunes), one could imagine a mischievous composer inferring that the nine points of roguery were, perhaps, their counterpart. 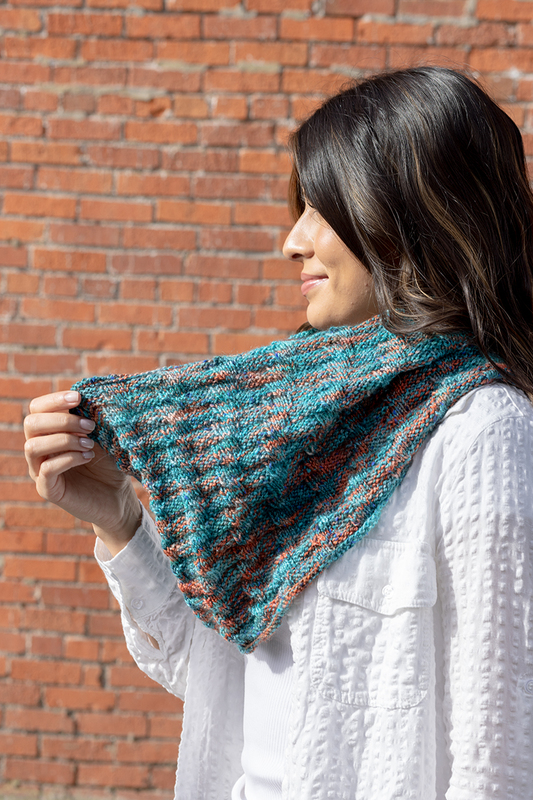 Only knit and purl stitches are used to create the interesting double-sided fabric in this cowl – one side creates the illusion of travelling cables while the other side shows diagonal terrace steps. 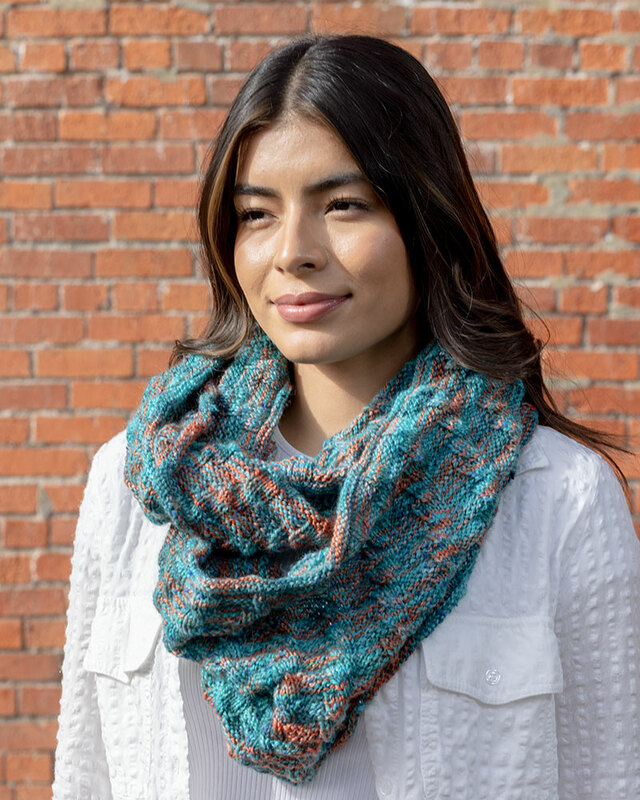 The alpaca yarn is so lusciously soft that a long, double-wrap cowl seems the best way to take advantage of the warmth of the fiber, its fantastic drape and to show off both sides of this lovely stitch pattern. 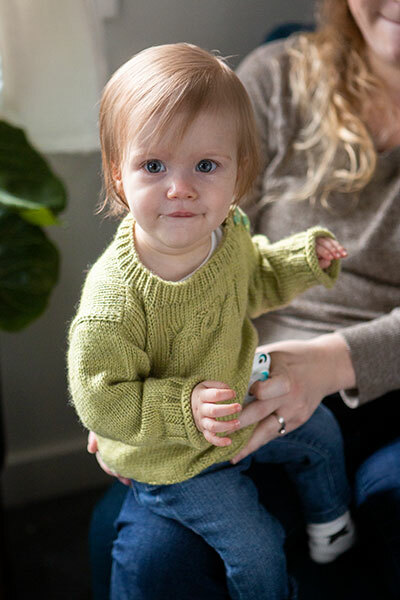 Knit in the round, a rolled hem provides a lovely rounded finish for the top and bottom edges. 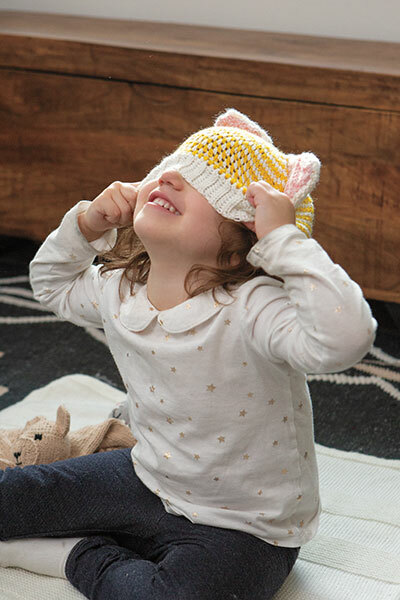 The pattern stitch creates the tiniest undulation at the top and bottom border – just enough for a nice finish without appearing frilly.